In the depths of the winter months I normally begin plotting out the calendar for workshops and teaching opportunities the following year. There are usually a few key teaching dates, conferences and collaborations I nail down with room for spontaneity. For the past couple of years I’ve been going down the Maypop Herb Shop in New Orleans to teach a couple of classes on herbal medicine. While teaching there, the owners and I realized how much of the same page we are on in terms of nutrition and the way we approach herbalism. So, this year we decided to collaborate on our first Herbal Basics course on plant energetics. The aim was to create a concentrated dose of introductory level herbalism to lay a working foundation for folks. If people walked away with a clearer understanding of their bodies and the energetics of plants and how they were to be applied, then our goal was achieved. The intensive was just a week ago in late May in New Orleans. And, from the closing circle we had, it definitely feels like people had a refreshingly new experience in our class. The comments I remember mostly had to do with the ability to digest the material properly and apply it to every day life. As well, they enjoyed how each session within the intensive built upon the one preceding it. The use of case studies was very useful as well. By the end of the intensive we had gone over a total of 12 key herbal allies, their energetics, tissue affinities, actions, and habitat. And, there were quite a few handouts such as Southern Materia Medica, Tongue Map, and Herb Sourcing Resources. The last session was on seasonal living with food & herbs. We had a great handout with themes, key herbs, and recipes for each season. The next Plant Medicine Intensive will be at a farmhouse in Clinton, MS (near Jackson) on the weekend of Nov 14-15. Room & board will not be available. And, we’ll probably meet from 10 am to 6 pm both days with a lunch break. Please email me at sweetgumsprings (at) gmail.com if you are interested in hearing more about this! 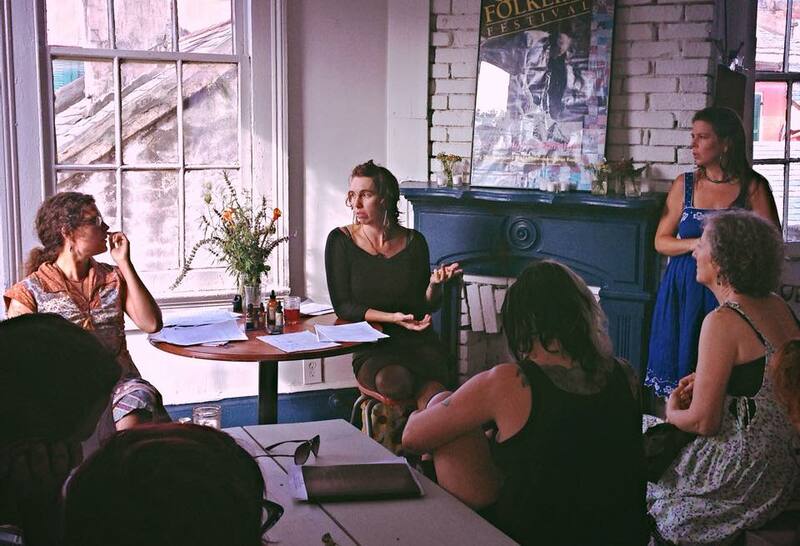 Here’s a recap from our recent Plant Medicine Intensive in New Orleans! Hope some of you can join us at our next one in the Jackson, MS area in November (info in the post)!